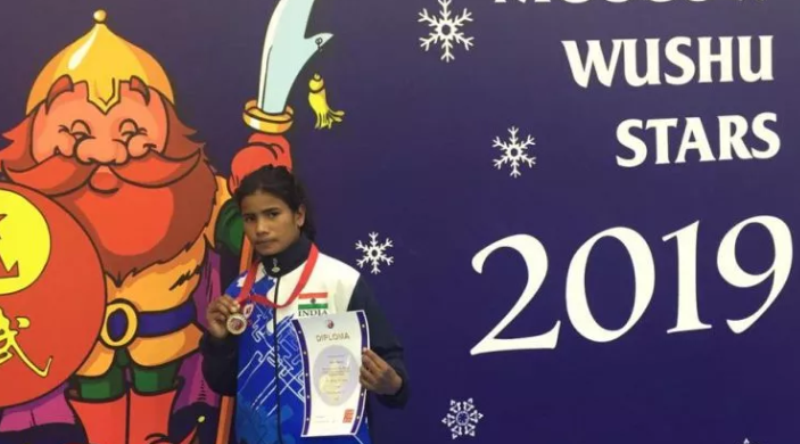 Keonjhar: It is a matter of great pride for Odisha and India that Manju Munda of Sialijoda village under Joda block of Odisha’s Keonjhar district has won Gold medal in the Moscow Wushu Stars-2019 Championship held in Moscow, Russia. Munda snatched the yellow medal after defeating her Russian counterpart in the final of the 42-kg category. She had entered the summit clash after winning over Egypt and Kazakhstan counterparts in the semi and quarter-finals respectively. Manju was the only player from Odisha in the 28-member Indian squad which was accompanied by Pankaj Kumar Mahanta and three others as coach. The tournament was organised from February 22 to 27. Currently, Manju Munda is pursuing her intermediate at Joda Women’s College, She has 20 medals in her kitty so far including 12 gold medals. She had won Bronze in National level Wushu C’ship held in Uttarakhand in 2017. The sporting talent of the tribal girl was first spotted by JSPL Foundation which has been promoting rural and ethnic sports in Barbil region of Keonjhar district. The Foundation extended all round support to the tribal girl including training, nutritional supplements support and facilitating her participation in State and National level Championships since 2011. 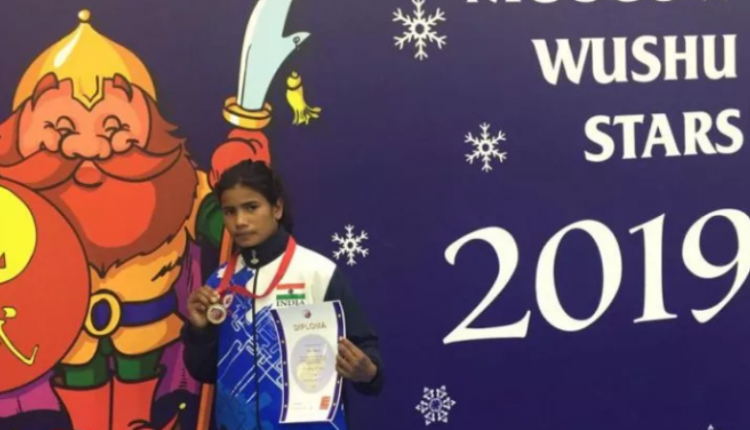 Since then, she was under training of Asian Indoor Games Kickboxing Medalist Shri Pankaj Kumar Mahanta, who was appointed by JSPL Foundation to train students in various martial arts at Sialijoda Primary School. Wushu Association of Odisha president SS Harichandan and Wushu Association of India have congratulated Manju for the success. 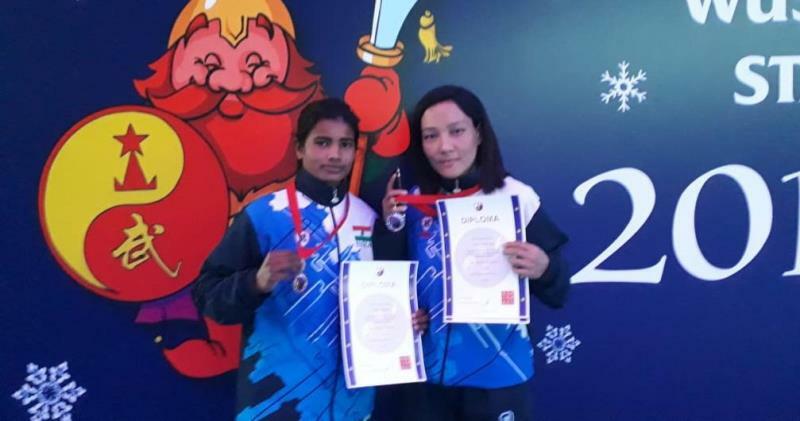 Congratulating Manju on her maiden international medal, Co-chairperson of JSPL Foundation, Shallu Jindal said, “Barbil region is fast emerging as a breeding ground for martial art talents. The JSPL Foundation is committed to nourishing rural talents to shine in the national and global forums. I’m sure Manju will shine and bring more laurels for the country in future”. Recently, JSPL Foundation has opened a Sports Complex, equipped with all modern instruments in Sialijoda village for the martial art enthusiasts. Notably, Babulu Munda from the same village had won silver medal at the 7th World Wushu Championship held at Brazil last year.